Paris isn't really a city of cats, not compared to Istanbul or Molyvos where you bump into dozens of felines wherever you go. And yet, when you look close enough, Parisian cats are everywhere. 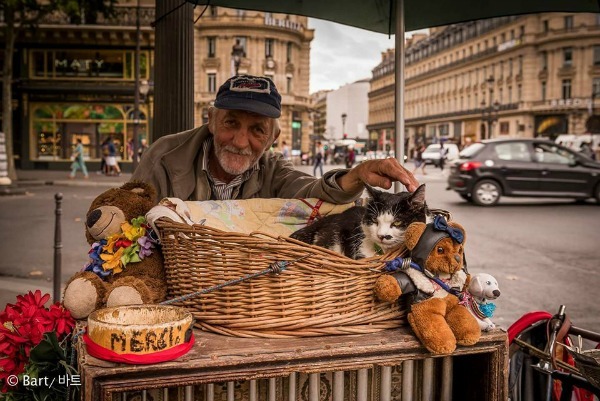 Rarely in the streets or near the monuments, even though, when you're lucky, you can spot a cat on the gravestones at the cemeteries of Montmartre and Père Lachaise. 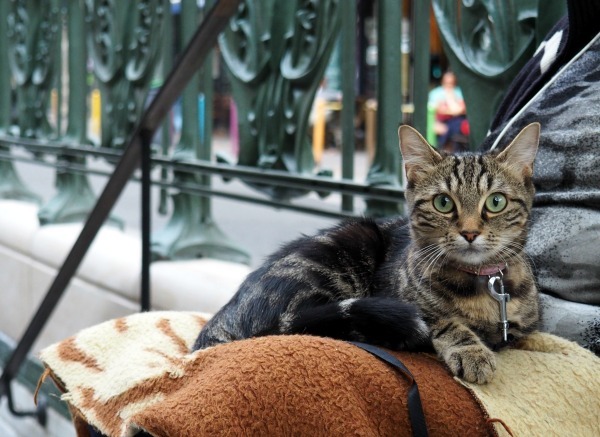 The cats of Paris live in cafés, restaurants, bookstores, shops, and hotels, reigning over the world from atop a counter. 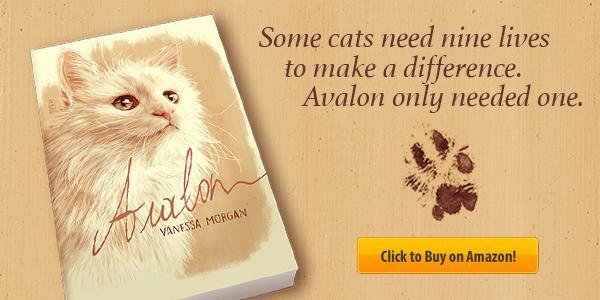 But once in a while, you'll find a cat on the streets, mainly in the company of a beggar. 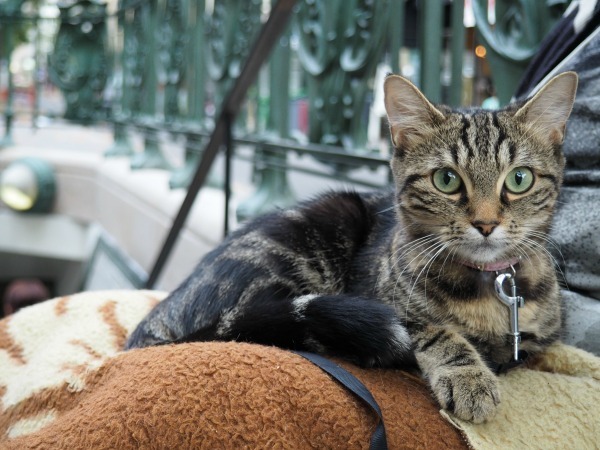 The cat in the picture above was photographed at the Place de l'Opéra in Paris. You can spot the cat in the pictures below, Dennis, near the entrance of the metro station Alexandre Dumas. Oh I always look forward to meeting the resident felines every city I go to nowadays. Will have to submit some photos here soon. Great shots - especially love the first one. I love all your cats pics, kitties are awesome!!! What a cutie! Have a great week! They look so wonderful with the photos that you shared. Dennis has some really gorgeous eyes and we always enjoy learning the history of cats in different parts of the world. Thanks for the share. Have a wonderful day.